PLEASE PLACE YOUR ORDER. WE WILL EMAIL THE EPUB AS AN ATTACHMENT ONCE YOU'VE PAID FOR THE ORDER. Guardians, or will Ares and Arturo destroy them before they begin? Can Ana and her charges fight this alone – or will she need help from the great beyond? Will the goodly Balsarius defeat the evil G`Alad? The ancient Holy Warrior, Shihan Marcus Kahn returns from 300 years of stasis to face hispast, and once again wage war against Admiral Ares and his massive fleet. 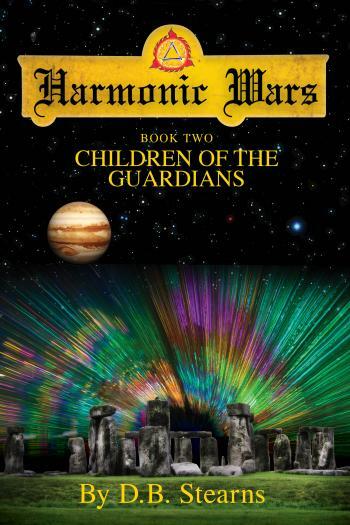 Children of the Guardians is the epic sequel to Guardians of the Crystal Skulls. Continue on this suspenseful adventure to save not only the Universe by the very souls of humanity.